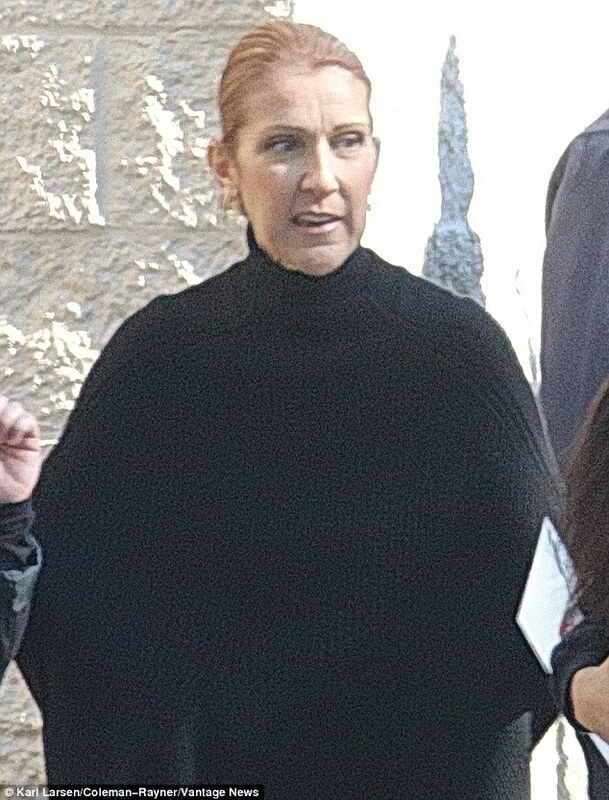 Celine Dion has been seen for the first time since the January 14 death of her 73-year-old husband René Angélil. The 47-year-old singer looked pale as she got hugs from friends before boarding a private jet in Las Vegas with her three children in tow. This sighting comes just two days before Angélil’s funeral, which will be held at the Notre Dame Basilica in Montreal. The church is also where the couple had a lavish wedding in 1994. Dion isn’t only grieving over the passing of her husband. Her bother also died this month. On January 16, just two days after René died from throat cancer, her brother Daniel Dion lost his battle at aged 59 with brain, tongue and throat cancer. On Wednesday, the Grammy winner had her red locks pulled back into a severe bun and her face looked strained. The Heart Will Go On hitmaker was dressed in head to toe black, including a turtleneck, leggings and to-the-knees high-heeled boots. The beauty also had on her wedding rings. She was seen with several handlers as well as her three children: René-Charles, aged 14, and twins Nelson and Eddy, aged five. Rene had endured a long fight against cancer before passing away just two days before his 74th birthday. He had been married to Celine for 21 years and as well as serving as her manager since she was a teenager. In accordance with Rene’s wishes two of Celine’s songs will play during the service. The Canadian beauty will not sing at the memorial. The Dion family will then attend the funeral of Daniel on Tuesday. 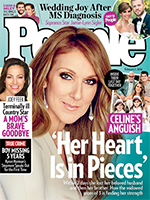 Celine will also host a Celebration Of Life gathering for her husband in Las Vegas on February 3. Angélil planned out his funeral so that the burden wouldn’t lie with the singer once he had passed. René reportedly wanted everything prepared, even though he didn’t know when it would happen. Because of this, Céline is ‘going through [this] peacefully and with control,’ added Horth. According to sources, René wanted to have his funeral at Notre-Dame Basilica in Montreal, where the couple married more than two decades ago. The couple are superstars in their native Canada and the funeral will be televised on three networks and flags will fly at half-staff, according to TMZ. On Saturday DailyMail.com reported exclusively the performer used her Las Vegas show in recent weeks as a tribute to the man she loved, knowing that his long battle against cancer was close to being lost. And he used it to make his final public appearance, clearly frail, but smiling and waving on a video he knew would be played to her fans. The image of René was projected onto a screen the Las Vegas venue where Dion has been a performer in residence. Her performances have been canceled until the end of February, but she was a trooper until the night before he died. 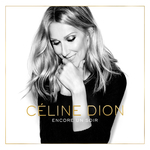 Celine is scheduled to perform at Caesars Palace on February 23 in Las Vegas. Just two days after Celine Dion‘s husband René Angélil died at age 73 from cancer, Dion’s older brother Daniel has also passed away. After Angélil passed away Thursday, a statement on Dion’s website shared that her Jan. 16 and 17 concert dates at Caesars Palace in Las Vegas were canceled. Her next scheduled show is Feb. 23. René Angélil, musician and husband of Celine Dion, died Thursday morning (Jan. 14) after a years-long battle with throat cancer, Dion’s rep said in a statement. He was 73. Angelil had a career as a Canadian pop singer in the 1960s before turning to managing. 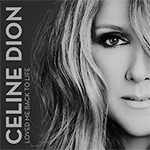 The Montreal native discovered Dion when she was just 12 years old and went on to manage her thriving career. 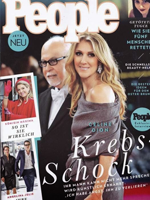 Angelil and Dion married in December 1994. The couple have three children together: René-Charles, 14, and 5-year-old twins Nelson and Eddy. Angelil also has three adult children from a previous relationship, Anne-Marie, Patrick and Jean-Pierre. In August 2014, Dion, 47,­­­­­­ announced that she was postponing her career “indefinitely” to care for her husband, whom she married in December 1994. He was diagnosed with throat cancer in 1999 (Dion put aside her career then as well) and had surgery in December 2013 that removed part of his tongue and limited his speech. “I want to devote every ounce of my strength and energy to my husband’s healing, and to do so, it’s important for me to dedicate this time to him and to our children,” Dion said then. However, she returned to her residency at the Colosseum at Caesars Palace in Las Vegas on Aug. 27, with performances scheduled through June. Angelil stepped down as Dion’s manager after 30 years in June 2014 and was replaced by Aldo Giampaolo, a former head of Cirque du Soleil’s business unit. The pair met in 1981 when the 12-year-old Dion, the youngest of 14 children, sent Angelil a demo tape of her belting out a song she had written with her mother and brother. Later, at an audition, “While I was singing, he started to cry,” Dion once said. Angelil mortgaged his house to help produce Dion’s first record, La voix du bon Dieu(The Voice of the Good God), and took her (and her mother) on a tour through Canada, Japan and Europe. Angelil, twice divorced and with three children (Patrick, Jean-Pierre and Anne-Marie), began dating Dion when she was 19, and she broke the news of their five-year romance in the liner notes of her third English-language studio album, 1993’s The Colour of My Love. Their wedding in Montreal was televised live on Canadian television. 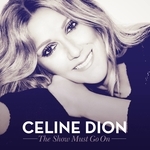 Dion has sold tens of millions of albums, and since she began a Angelil-orchestrated residency at the 4,300-seat Colosseum, she has performed more than 900 shows for more than 3.6 million people, accounting for $500 million-plus in ticket sales. Angelil’s hobbies included gambling; he won $1.6 million in a poker tournament in 2007.